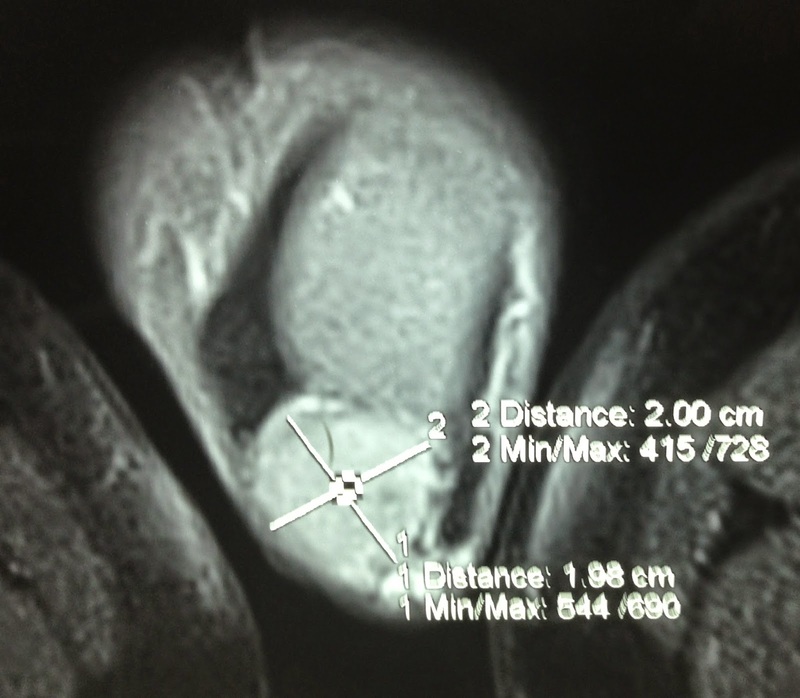 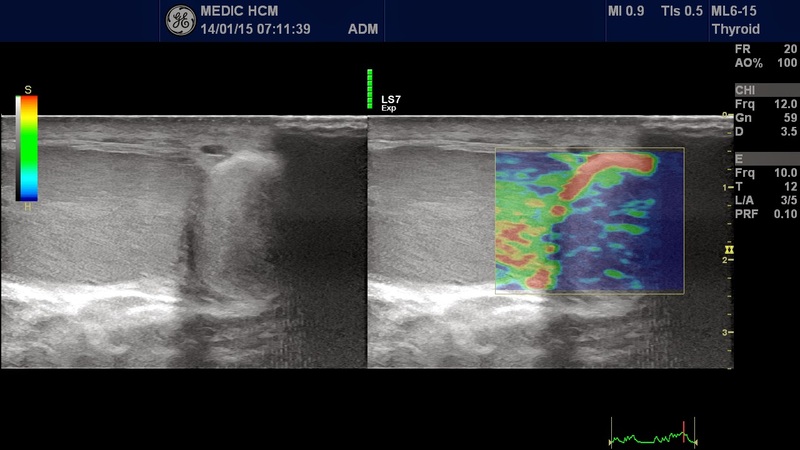 Man 55 yo pain at left scrotum some months ago and himself detected one mass in left scrotum. 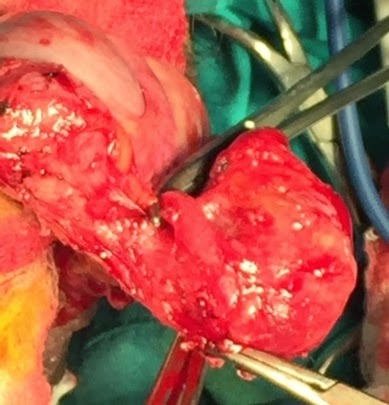 One urologist in palpation it suggested 2 testes in left scrotum. 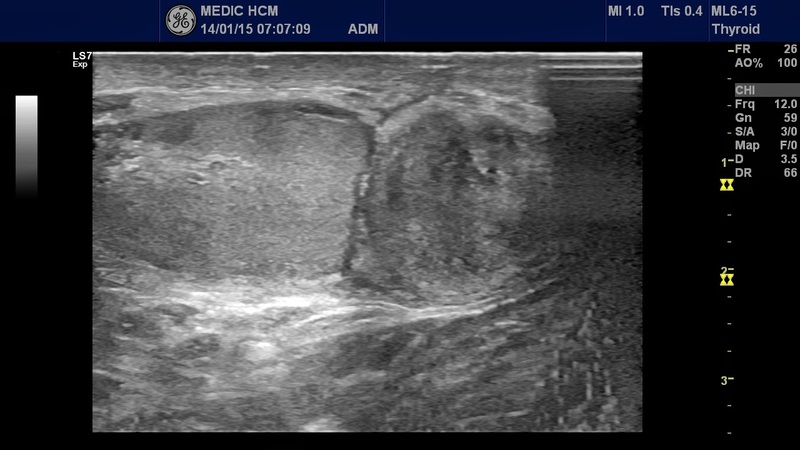 Ultrasound scanning of left scrotum showed that a small amount fluid hydrocele vaginalis and one mass rounded- border in adherence to left testis with size of 4 cm, This mass was hypovascular and soft upon ultrasound elastoscan (see 3 ultrasound pictures of this mass). 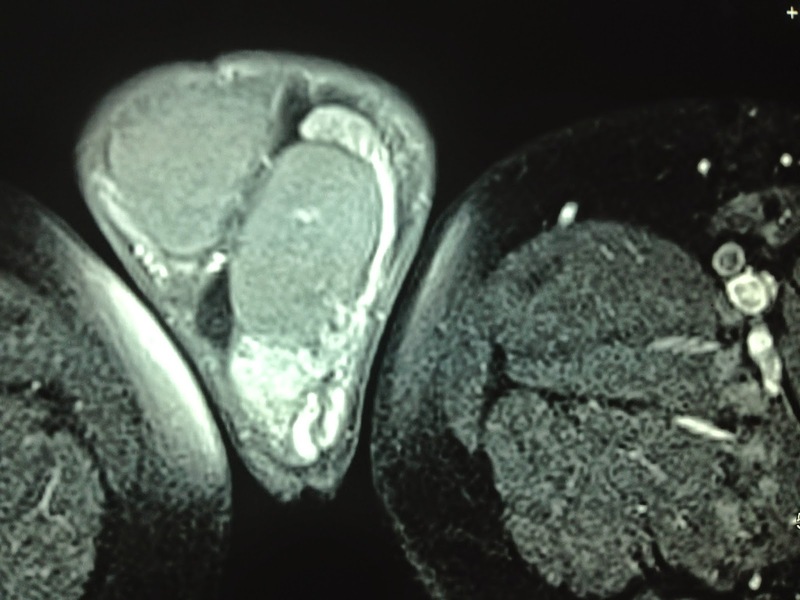 MRI with gado of the mass presented it from epididymis that was enhanced with contrast gado and suggesting an ADENOMATOID TUMOR of epididymis. 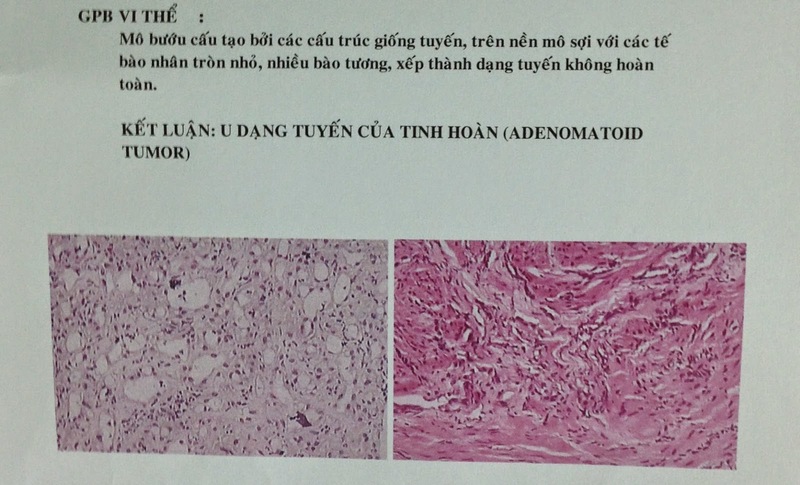 It is a benign tumor, biopsy was done and macroscopic report was in correlation to imaging diagnosis. 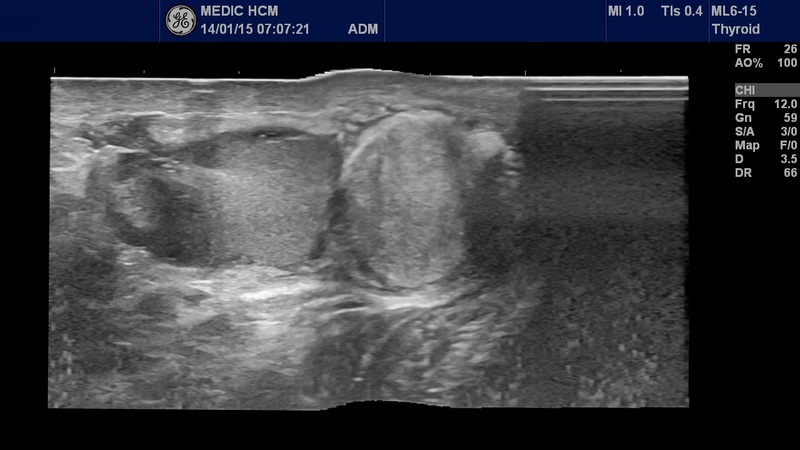 Operation for removing the mass and microscopic confirmed the imaging diagnosis again.